Having said that, I extended Aidan’s Toy Trove Thanksgiving Day Sale to last through Cyber Monday. I wanted to make a new sale but as usual, I ran out of time. It’s past midnight here in California and I’m off to bed. I have to be up early to take Aidan to school. I got used to sleeping in while he was off school last week! Have a great week everyone! 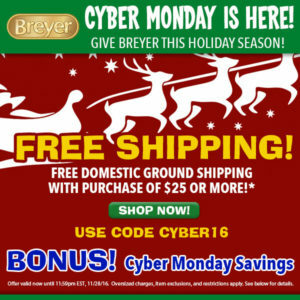 « Aidan’s Toy Trove Cyber Monday Sale!